David Grove asked Philip Harland to write this book. Philip worked with David on the development of Emergent Knowledge and the Power of Six processes from December 2006 until David's death in January 2008. This book is the first major account of Grove's last work by a collaborator, co-facilitator, apprentice and friend. You will find Grove's presence on every page. 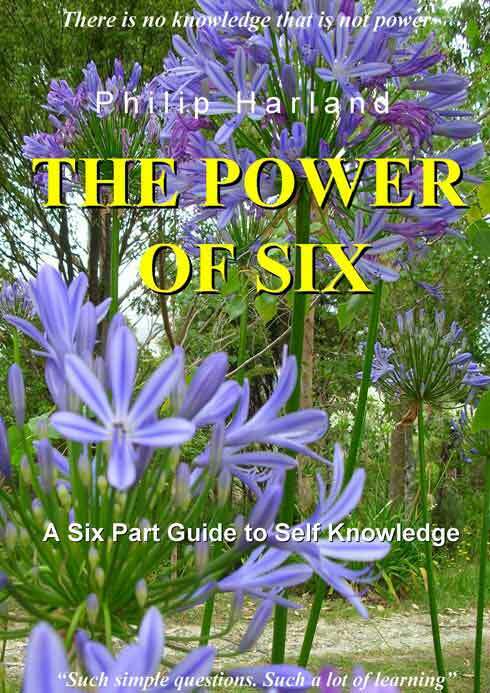 The Power of Six describes a groundbreaking therapeutic process. More than that, it is a whole new way of thinking about how humans change. The author has made David Grove’s innovation accessible to anyone who wants to facilitate others to recognise that they really do have the solutions to their own problems. The reader is kept interested and amused with beautifully crafted prose, fascinating case studies, clarifying metaphors, and examples which demonstrate the structure of the process. We think you will love the way information builds until a complete picture emerges. Philip Harland has drawn on his professional experience as a therapist and writer to present Grove's innovative technique not just with enthusiasm and respect, but also with clarity, perceptiveness and insight. I have a profound sense of gratitude and excitement at the clarity and breadth Philip has brought to this work. It IS new and stunningly simple. It is about the profound trust we can have in the truth of each individual's own knowing. A fascinating, brilliant book on an extremely important subject. Philip Harland is uniquely placed to write it, having worked for an extended period with the originator of the approach, the highly regarded psychotherapist David Grove. It is a practical book, and give sufficient background, good examples and anecdotes for it to be extremely useful to practitioners working in a wide variety of ways. As a coach, I will find it extremely useful in my work and it will have value for a wide readership across the counseling and psychotherapy world, and specifically in the burgeoning field of Clean Language.